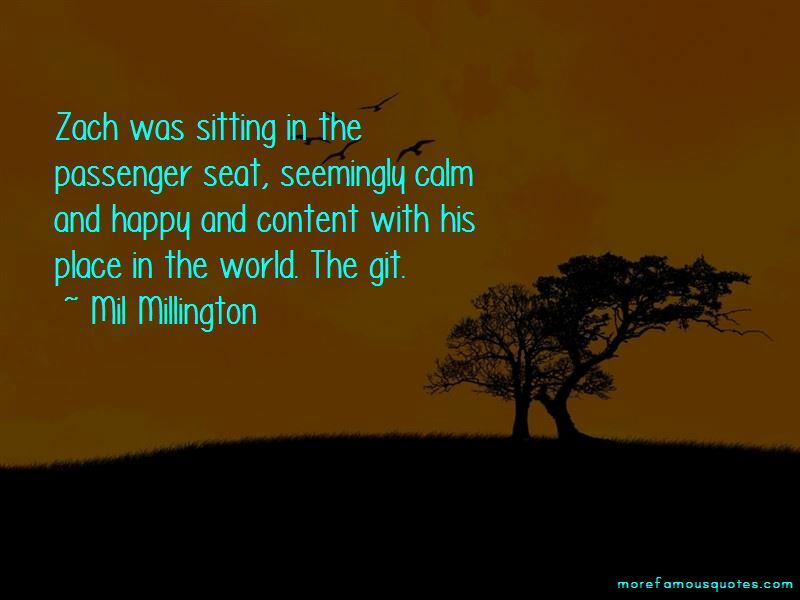 Enjoy the top 6 famous quotes, sayings and quotations by Mil Millington. Zach was sitting in the passenger seat, seemingly calm and happy and content with his place in the world. The git. All real estate agents should be put on a decommissioned naval frigate which is then towed out into the deepest part of the Atlantic and sunk. It's rather unfortunate that, in recent years, real estate agents have become comedy betes-noires. Rather like lawyers or used car salesmen. Every time they mention their job they probably get people amusingly making the sign of the cross at them or are subjected to some good-natured, humorous ribbing. This has the effect of distorting what I'm trying to say here, which isn't in the nature of a smiling roll of the eyes and a "Tsk, real estate agents, eh?" but rather "All real estate agents should be put on a decommissioned naval frigate which is then towed out into the deepest part of the Atlantic and sunk. She wants to paint the living room yellow. I have not the words. 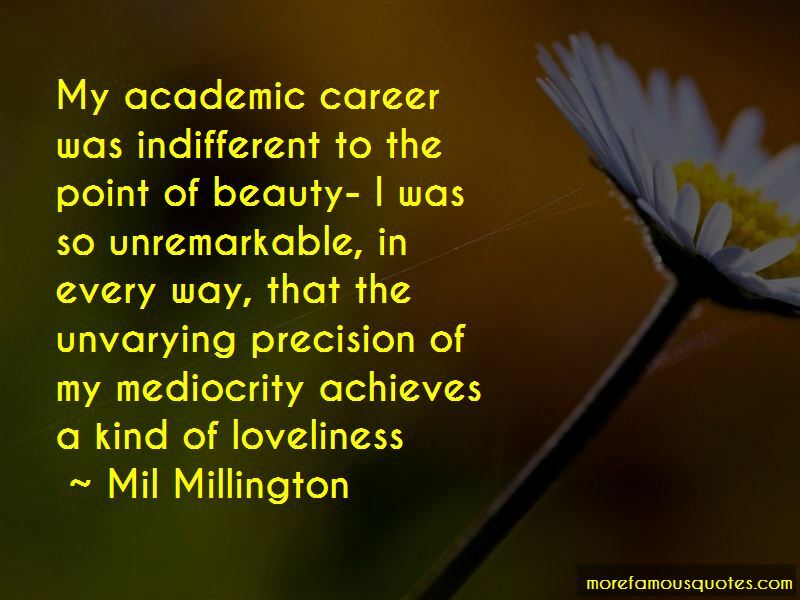 Want to see more pictures of Mil Millington quotes? Click on image of Mil Millington quotes to view full size.